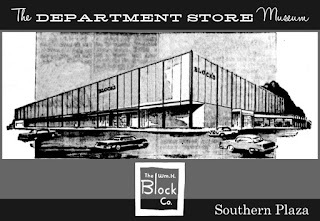 This is/was my father's store. E.A. Block was my dad. We now own the building, The Block Apartments, and truly love it. Come visit some time. Please e-mail me at bakgraphics@comcast.net, if you have any items relating to the Block store, that I could post on this site. 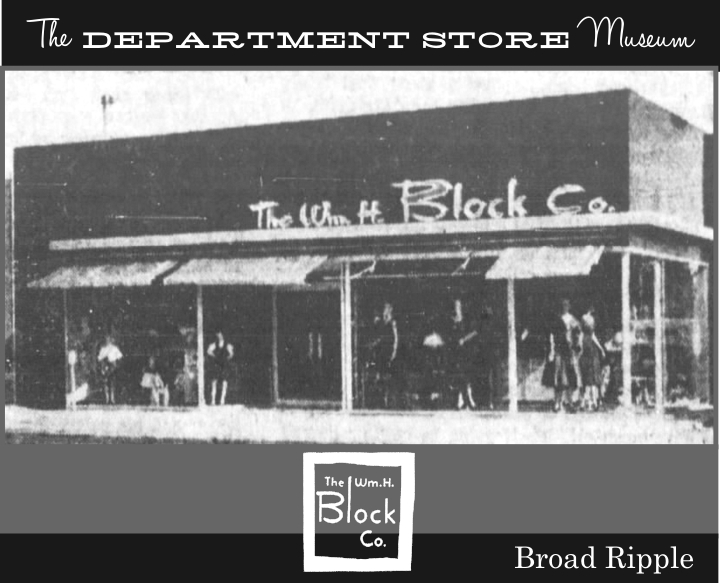 When I get around to writing the history of the store, I would like to mention its current owner and the fact that is is known as The Block Apartments in that history. Just bought a tie in a thrift shop for $1. It was a W. H. Block Company tie with original sticker for $2.99. Anyone know the possible date on this tie? The Sage Collection at Indiana University owns a white denim inscribed jacket with a red embroided label, "BLOCH". 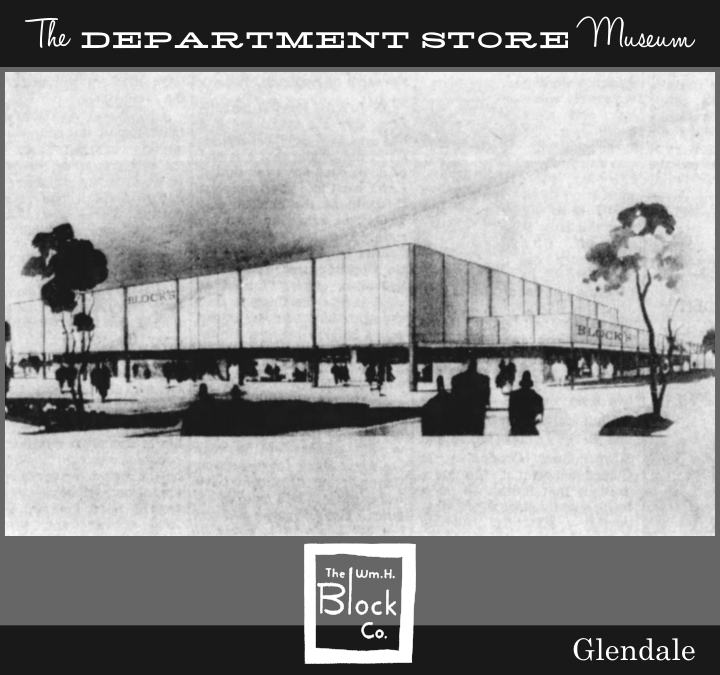 Was Block's ever known as Bloch's? Not to my knowledge. 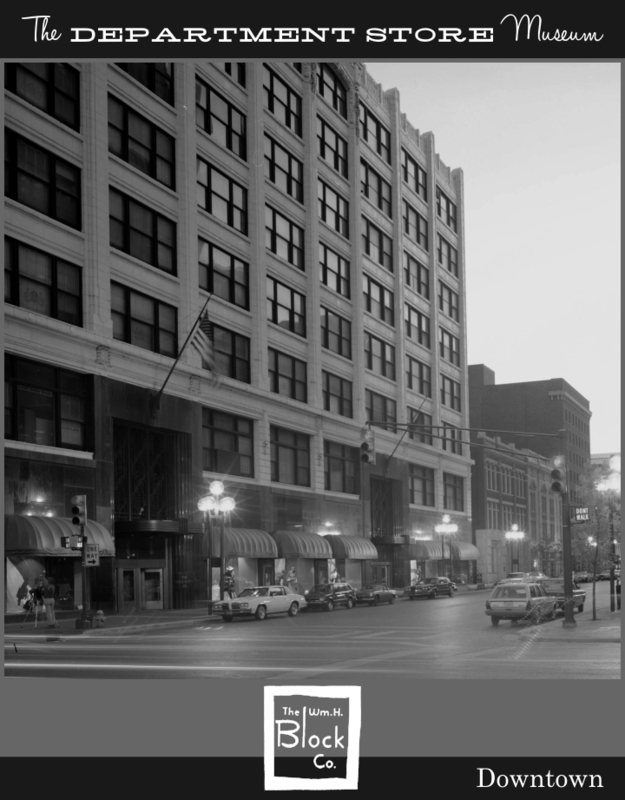 Ayres in Indianapolis did carry clothing from "The Stein-Bloch Co., Wholesale Clothiers" of Rochester and New York, New York. 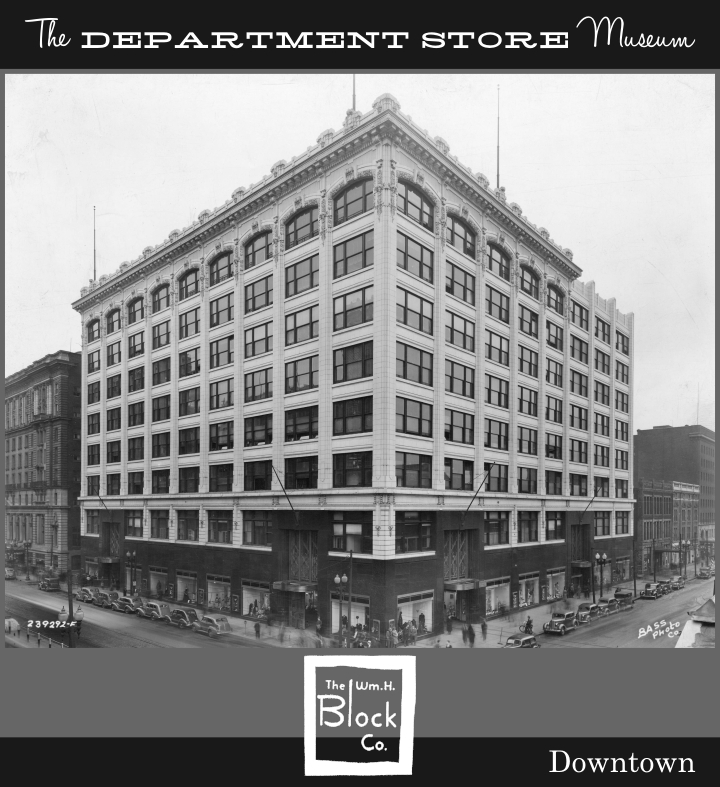 These were advertised in the Indianapolis Star until 1934. 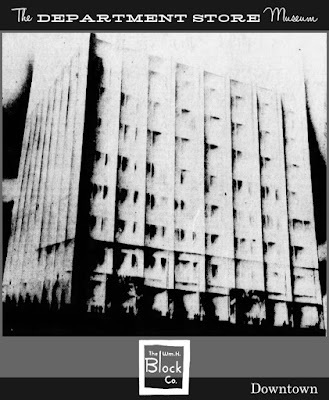 In 1928 Stein-Bloch merged with Fashion Park Clothes, but the company continued to manufacture clothing with the original name. A quick search of Stein-Bloch could provide more information than I have time to devote here. Hi, just got an overcoat, I guess, not sure what to call it. It has a patch with, Robert McIntyre, and, The Wm. 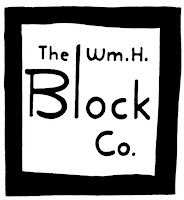 H. Block Co., plus some kind of family shield or something. I bought a beautiful mink coat today at a cool antique flea market. It is beautifully made. The lining has the highest quality embroidery. I would love to know more about its age. I have a pair of wire eye glasses from Wm. 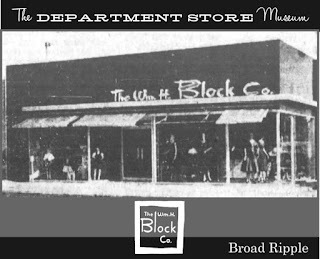 H. Block Co. Optical dept. Dr. Joseph kernel. They were my great great grandpa's. Back in 30s I think. Anyone know anything about them? Does anyone know about the Block Farm located in Clay Towhship? One side was East of Cool Creek where the Block Mansion was located and on the West was a large farm house and various other buildings. Please contact sandra@omnicentre.org. 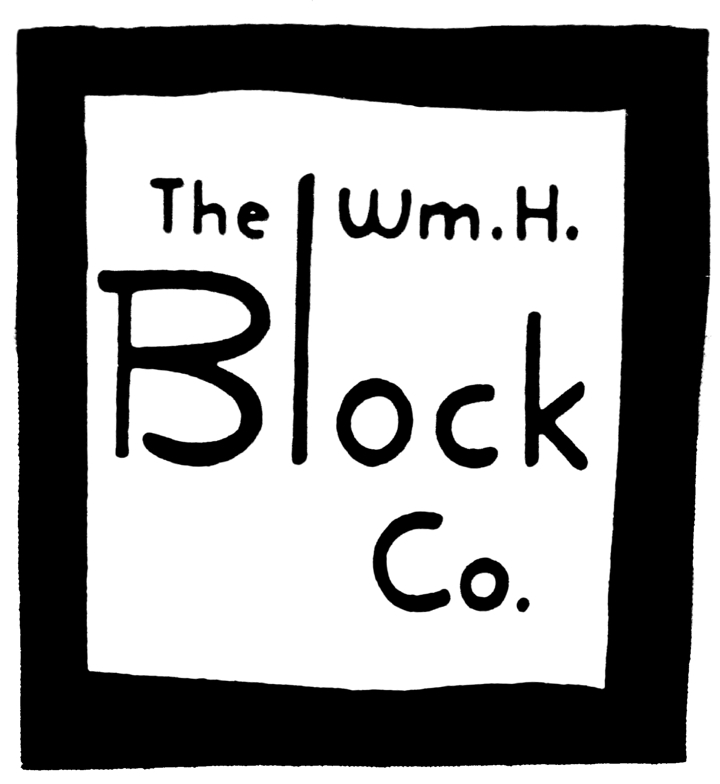 We are producing a video about the W. H. Block Farm which is known as Brookshire in Carmel. 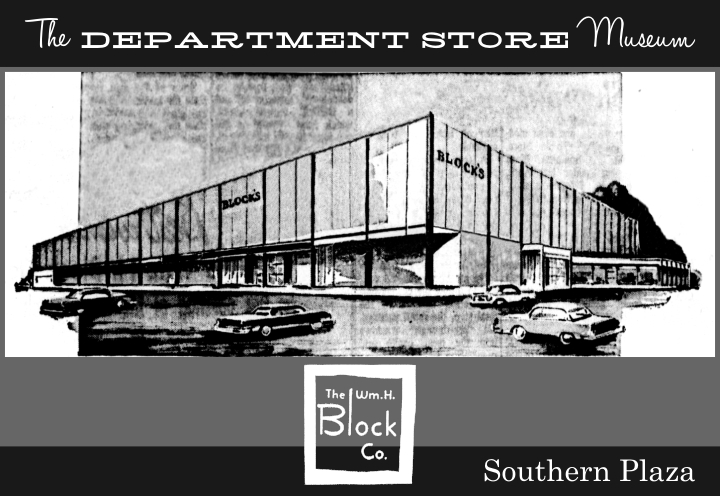 We also are seeking relatives to talk about Mr. Block and the transfer of land for the subdivision. I just found a Merino Wool scarf while thrifting. It is a really gorgeous knitted red hues scarf. The tag makes me think it is 50s-60s, but I'm unsure. Does anyone know anything? worked as an assistant buyer 1977 - 78 womens sportwear separates. Blocks was the ultimate shopping experience, downtown store so elegant. Food in basement cafe and in upstairs restaurant great, remember the chicken salad and sweet rolls?